Peyton Manning (and the Colts practice squad) Vs the mighty Patriots. I'd have to say, I don't have a good feeling about this one. The Patriots are coming off of an impressive win over the universally hated Steelers, so we are facing them on a high. I don't think they will overlook us either. Whether or not Austin Collie is able to play is probably the most important unknown going into Sunday's nationally televised game. He was listed as a limited participant in Wednesday's practice, but so far reports are that he has tested out fine and is recovered from his scary concussion. Belichick likes to take the top two options away from an opposing offense - forcing them out of their comfort zone. Expect that Reggie Wayne will be doubled on most every play. If Collie does not play, Jacob Tamme will be also doubled. This would leave only the highly unreliable Pierre Garcon in single coverage. Not real helpful considering he and Manning have had trouble getting on the same page. We have not had a lot of success running against the Patriots in the past, and they are doing well against the run this year. Their pass defense can be shaky, but I don't know if we can take advantage of that. On the good side they have a lot of young players on defense that have little to no experience dealing with our offense. Hopefully we can fool them a few times. Since trading Randy Mesothelioma to the Vikings (who promptly dropped him like a important call on AT&T) the Patriots passing game is mostly a ball-control one. Since they have no receivers who can really stretch the field, we really match up with them well. Although the Patriots offense throws a lot of short passes, they are not always quick passes. They have a lot of complicated clearing routes and often you will see Tom Brady hold the ball for a little while. 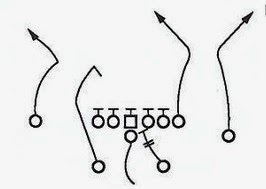 This gives us a better opportunity for a sack than you would usually have against a small ball offense. Unfortunately our pass rush has not been very good this year, particularly on the road on grass. As I see it, the Colts lose this one. Lets say 24-17. (Vegas has the Pats as a 3.5 point favorite).